» Love Plus plastic placard which is located between pages 178-179. The two posters are packaged separately from the magazine in a cardboard box. Why are they called "bathroom posters," you ask? Because they are water-resistant and may be taken into the shower with you (for whatever reason). 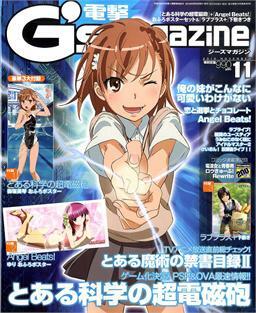 The magazine itself contains 442 pages filled with manga, information on manga, games, animation, and information on new toys and assorted products in the Japanese marketplace. All preorders have shipped on Friday and new orders are welcome to ship today. View the back cover and more photos on the main NCSX website. 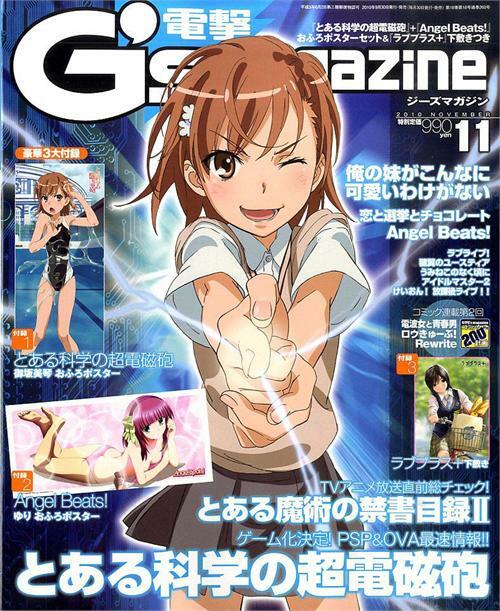 If your interests lie in the worlds of bishojo gaming and all the merchandising that surrounds it, your subscription to Dengeki G's Magazine should've been in the mail, like, yesterday.